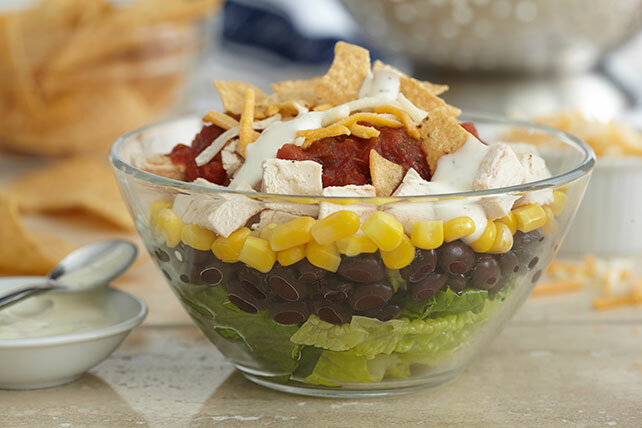 Beat the clock with this simple, yet filling, layered salad that turns any occasion into a veritable fiesta. Layer all ingredients except dressing and chips in large bowl. Drizzle dressing over salad; top with chips. Prepare salad on large platter instead of in the bowl.